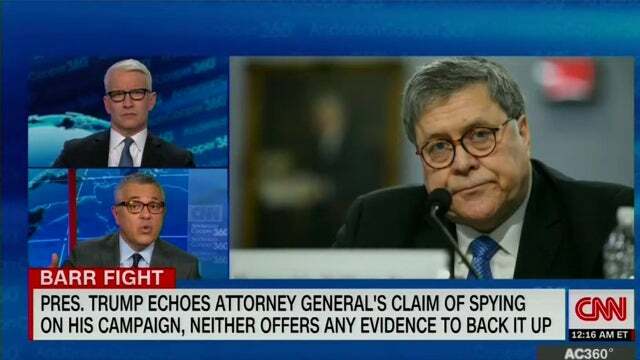 RUSH: Last night, Anderson Cooper 205 talking about William Barr saying that the Trump campaign was spied on during the 2016 election. COOPER: Was it just a misstatement? Did he say the word “spying” when he really meant “surveillance”? We don’t know. But keeping them honest, what we do know is that whatever his intent, Mr. Barr relit the fuse of conspiracy for the President and his supporters. 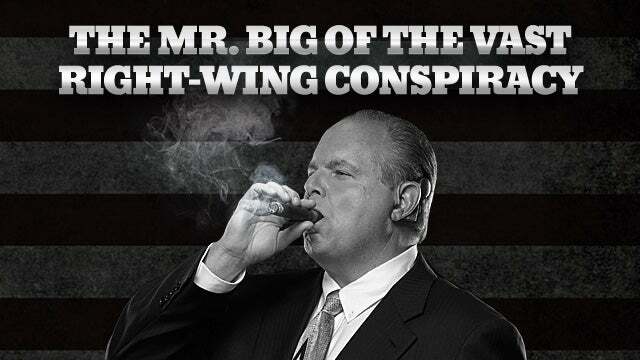 Rush Limbaugh ran with it. TOOBIN: He is a case study in the evolution of the Republican Party, which is in the eighties and nineties certainly believed in a strong presidency, and that’s what led to the — to the pardons (sputtering) and — and — but — but now, you know, we’re into the Fox News, Rush Limbaugh, Breitbart conspiracy theorists, Uranium One, which he was talking about that we backed away from that. Now he’s talking about spying. I mean, he is a good example of how the Republican Party has moved dramatically — and, in some cases, irrationally — to the right. RUSH: Now, I know this is Toobin and — these people are not very bright. I’ve actually come to the conclusion that they are intellectually deficient, they’re not curious, and because of their arrogance, they’re literally closed-minded people. And so they are unable to accept anything outside their little cocoon. They also then couple that with believing that they represent the majority of thinking in the country, that they represent the majority of what’s reasonable and what’s moderate and centrist. And these people are so far away from the center of this country, they are so far to the left, and either they know it and are doing a great act here or they don’t know it. It doesn’t really matter which is the case. The fact that they have no audience ought to tell them that they’re not relating to very many people! How can you sit there with a fifth place audience and claim that you are representing a majority of thinking in the country? And by the same token, how can you look at the network that has far and away the greatest audience and add even larger audiences of this show and claim that we’re the outliers and they are the definition of normalcy? These are the people that are way off the path. They are so far gone to the left now, and they don’t even see it, to the point that anybody that disagrees with anything they say is an automatic irrational radical. And there’s nothing irrational or radical about my worldview or the way I look at events and then analyze ’em or anybody else that’s on our side regarding this. “Now we’re into the Fox News, Rush Limbaugh, Breitbart conspiracy theorists, Uranium One.” There’s no conspiracy about Uranium One. It’s an actual thing that happened! There isn’t any conspiracy! The FBI spied on the Trump campaign. They implanted informants in the Trump campaign, or tried to. These people reported it! For two years they quoted anonymous sources in the intelligence community who supposedly were gleaning information about what Trump was doing with Russia. How the hell were they learning this stuff if it wasn’t spying? They call it reporting, but these people didn’t report anything. They reported, they repeated a pack of lies! There wasn’t any journalism in any of this. This wasn’t even an investigation. It was an effort to overturn election results in which people like Toobin and Anderson Cooper were complicit. The only question is, do they know it or not? Did they know they were used, or are they willing participants? And that’s a day-to-day judgment call. At the end it doesn’t matter because they ended up doing what they did. But to sit here and simply deny — I mean, here you’ve got for two years these people assured everybody Trump was going down, that there was Trump-Russia collusion, that Mueller was gonna find it. They lied to everybody for two years. They lied to themselves. There never was any evidence. Now the report comes out, no collusion, no obstruction, and — you know, if these were reasonable people, they would be livid at whoever it was that lied to them, but they’re not! They’d be insisting on getting to the bottom of how it was that they were so humiliated and embarrassed! But they’re not. And that’s what leads you to believe that they were complicit in it, that they knew all along there was nothing to this. My God. When you’re getting FISA warrants, you are spying. And if they suspected Russians in the campaign, why didn’t they tell the campaign that they are worried the Russians might be involved instead of trying to entrap members of the campaign? The common sense here, the rationality here is all, for lack of a better term on our side, there is nothing rational about the way these people have gone by their jobs and their business the last two and a half years. There’s nothing common-sensical. This is pure radicalized political agendaism that the media has been engaged in and for all intents and purposes, leading. RUSH: All right. So Ken Starr, add him to the group of people who think Barr is serious about this and is gonna do something. And Starr knows him. But beyond that, is this not just a common-sensical reaction? Bill Barr’s a serious guy. Prior to this everybody loved him, he had an impeccable reputation. He says, “No, I think there was spying.” And Starr — this is the only intelligent reaction you can have. “Well, he must know something.” You don’t go saying stuff like this in a congressional hearing unless you know something. It’s the only common sense reaction. Yet let’s go to Jeffrey Toobin and Anderson Cooper and all the rest of them for the irrational, nonsensical, makes no sense whatsoever response to it. “Aw, it’s the Rush Limbaughification of the Republican Party. Rush Limbaugh’s turning Bill Barr into a –” How absolutely brain-dead sophomoric. That’s their response? That’s their explanation? That’s what they want to tell their audience is happening here? These people are beyond being embarrassed. They’re beyond being ashamed. Something’s happened. The poison of the hatred that’s consumed them since this election didn’t go their way is breathtaking to behold.